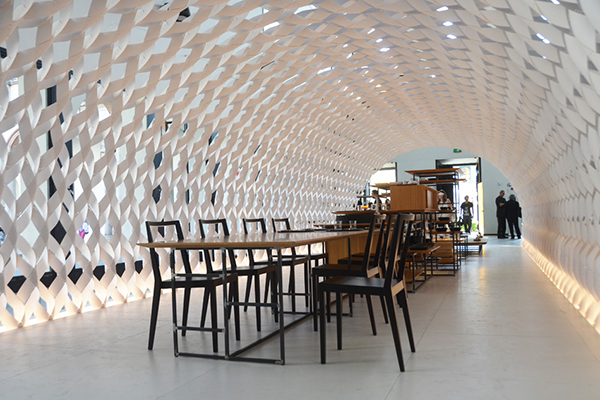 The design of Kengo Kuma’s Irori Pavilion puts a unique twist on architecture, quite literally. 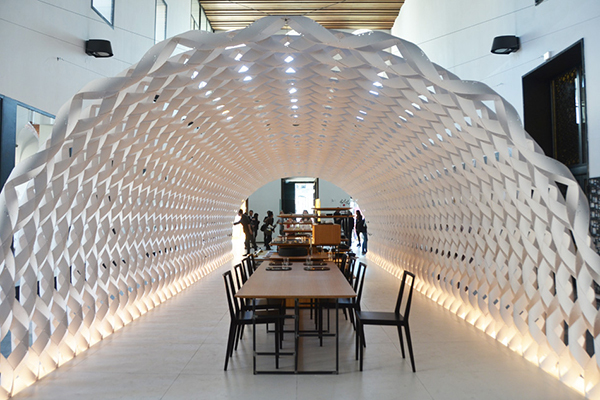 The pavilion is light and airy, constructed using a 1 millimeter thick vulcanized paper. 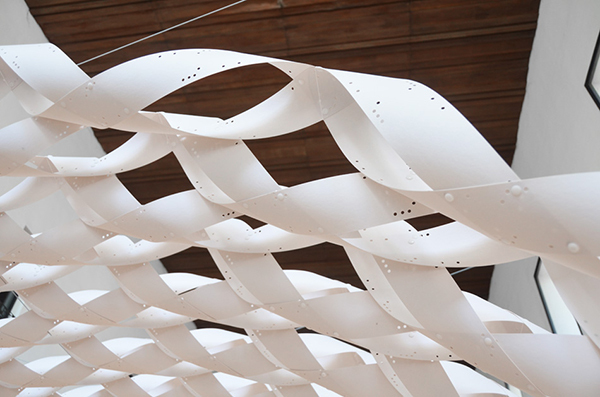 The paper is twisted and woven into place. The detail is pristine and the form is a perfect cocoon when all said and done. 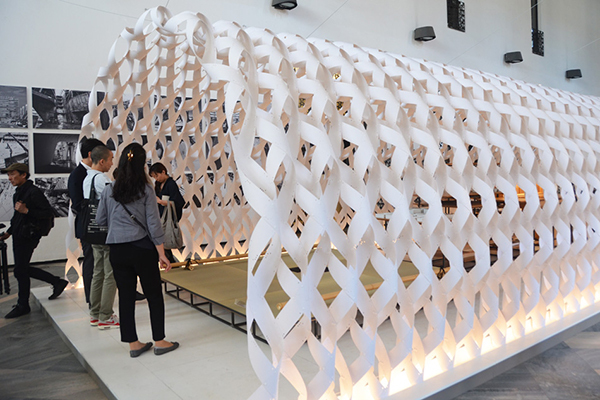 Although paper is not a typical go-to-material when it comes to architecture, the type of paper utilized on the pavilion showcases how far the function of a material can be pushed with the right engineering.